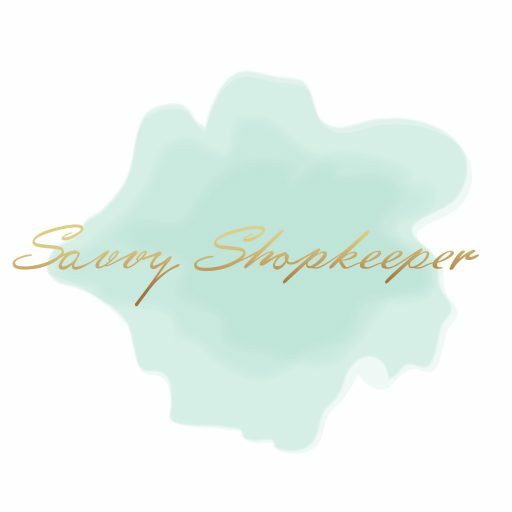 With 800+ members in the Savvy Shopkeepers and Master Shopkeepers Facebook Groups, many conversations are initiated regarding E-Commerce. During the 2018 holiday season, this article, and this article by Meagan Brophy at Independent Retailer indicate the majority of shoppers purchased their gifts and other items inside brick and mortar spaces. There are so many articles telling us brick and mortar is dying, but 83% is substantial! This is the most important question to ask because as brick and mortar store owners, we already wear so many hats! Can we possibly add one more task (with a large learning curve) to our ever flowing to-do lists? My sister and I are recently soft launched our online shop, but to be honest, I don’t know the answer to this question. Are we just feeling the pressure of having an online presence beyond a website or is there a legitimate need to offer online shopping to our customers? Technology aside, I want to open up a conversation right here on the blog about brick and mortar store owners investing time and money into building E-Commerce stores. The question remains, is this really what our customers want? Are you a brick and mortar store owner with an online store? Was it worth your time and investment? Did you hire someone to help with the process? Did the store flop and if so, why do you think that happened? Do you feel pressure to open an online store? Did you decide against opening an online shop? If so, why? Is technology keeping you from launching an online store? You don’t have to answer all of the above questions, but if you want to get in on the general conversation, please comment below. I started with an online store, then added the website. I firmly believe that having the website has been an asset to my brick and mortar. Customers can check out my brand before coming into the store. I have the option to shop online and pick up in store (in addition to the other shipping methods). Adding bricks to my clicks has been good for the website… I think it’s a synergistic relationship between the site and the store. I like the idea of viewing it as a synergistic relationship. Thanks, Amy! I’ve had a brick & mortar for a year now and my investor has constantly been telling me I need to be online. I have mixed emotions in adding online until I’m stable in store BUT do feel there has to be some sort of online presence for a b & m. Whether it’s an e-commerce type or blog or just social media, people will always look online at some point or another and you want to show up in that search. I think e-commerce can probably be an added benefit if done well and not to the detriment of the actual store. I’d like to get into online selling more but still trying to keep my head above water in store so in time it’ll get there. I agree, Robyn. Building an online presence is already a lot of work – building an E-commerce store from scratch or integrating with our existing Point of Sale systems is another beast. I’ve been focused on how the website adds value to my in store customers. I’m not really interested in shipping; my store is in a remote area, but I can have a better relationship with my clients if I can connect with them online. I’ve been struggling with executing on the integration; it needs to be scalable if it’s going to stick. My customers want more transparency on our order process, and my team wants less headaches with our processes. I’m about to launch into a rebranding process that includes strategy around our online platform as it adds to our customer experience. I’m excited to see what we can out into motion! HI Nicole! It’s wise to approach it at the branding level and implement it all at once. An online store involves educating customers and a good marketing plan. I can’t wait to see it all! I have a brick and mortar and an online shop, sort of. I use if specifically to allow followers on fb or ig to purchase items when they can’t get in to the shop. This year I hope to make it searchable using SEO and make it a more user friendly option. I use square for retail and the online store option that they offer. Hoping to integrate Woo Commerce to connect my wordpress website and my Square POS. Thanks for commenting, April! I like that it gives our customers the ability to shop during “off-hours” too. We are launching our online shop in phases and I’m happy to say our customers are placing orders and I’m surprised that many of them want their orders shipped – but even more importantly, we had a customer give us positive feedback about it yesterday because she can’t always make it into our store during open hours. We have a store front only, only booking classes online. About 80 percent of pur product is handmade and on consignment with us. Many of our popular vendors already have online bizs of their own, etsy etc. Our mission of sorts was to bring etsy to the customers, they can touch it and buy it right then. No wait, no shipping etc. People have asked, and we wonder sometimes….but also feel like that would be untrue to the brand we desire to create. We are active on social media and have a website…all a must IMO. Thanks, Jessica. Maybe that’s what seems strange to me. We are all so proud of our brick and mortar businesses, the in-person interaction, the experiences, and the relationships we build INSIDE of our stores – are we hurting our brands or business by selling online too? I don’t know. But I agree, an online presence with social media and a website is important! What a conundrum this has been for my yarn shop! I thought for years that the surest path to growth for my biz was selling online. I hoped it would help my inventory turnover so that I could offer new inventory more frequently in my brick and mortar. But, I was not willing to sacrifice my mark up or time spent on building my community in store. My current strategy is a compromise. When I upgraded my POS system, I chose one with the capability to populate my website with my inventory. I choose very carefully what I offer on my website (items that are unique ONLY to my shop) and all class/event registration is handled through my website. The potential is there, so when I finally pull the trigger and hire someone, the infrastructure is there to grow already. I think this is a great way to look at it! We have a Brick and Mortar and have had so many requests for an e commerce option by those not local to us, but I was thinking about limiting what we offered to be only what sets us apart, at least in the beginning, and possibly expand products in phases due to demand. I’ve debating going online for awhile but decided I’m not ready. I enjoy the idea of actually shopping, talking and walking around small towns. Then again I don’t want to miss out in sales. I may look into allowing customers to purchase through social media, utilitizing paypal to send invoices and allow them to pay. They can still pick up in store. This one is tough and I’m looking forward to seeing all the responses.